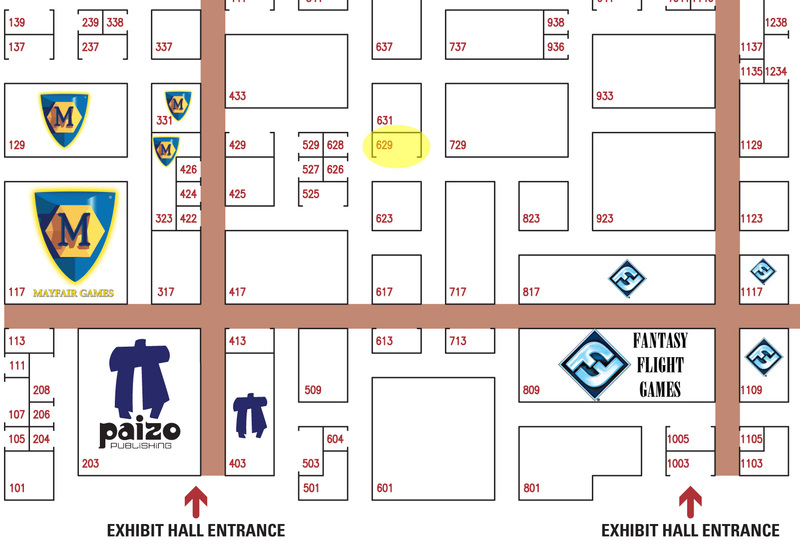 We are getting ready to leave for GenCon Indy (Aug 14-17) where you can see us at Booth 629. If you are going to the show, stop by and visit us! Any mailorders received during this time will be filled when we get back the folowing week. Hope to see some of you there. 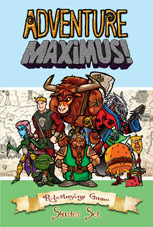 Now available from your local game store - Adventure Maximus! Head over to your favorite local game store and check the game out. We also have it available from our online store. 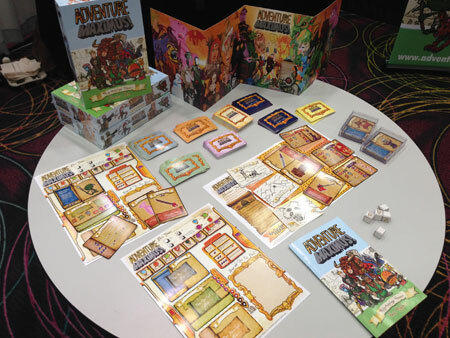 We had a very successful Trade Showa few weeks ago showing off the final production samples of Adventure Maximus to retailers and distributors. The printer tells us its on its way to us now and we should seeit by the end of next month. So make sure you have your copies preordered from your favorite local game store! Band of Zombies has left our warehouse on its way to retailers across the world. Also the AFMBE Character Journal is nowavailable for download via DriveThruRPG.com and from our website. Online Store is back online. Eden Studios online store has been down for a few months and we have fixed it. We would prefer you to order our books from your local game store - but sometimes that is not possible. If you can't find a store locally - then you can order direct from us. Band of Zombies PDf is now available from our partners at DrivethruRPG.com. Hardcopies are en route to distribution and retailers. Eden Studios has been known for publishing award winning and fan favorite RPGs for over 15 years. Today we embark on a new project to bring in new players to the world of role playing games. It's time for a role playing game adults & kids can both enjoy. Make a character in under 2 minutes. Start playing out of the box. That project is entitled Adventure Maximus! Adventure MAXIMUS! is a card based, introductory Role Playing Game for players 8 years-of-age and up. Players can take on roles from eight different races. Working together as a famous "Adventure Company" based in the fantastic, post-apocalyptic world of Ex-Machina they can become heroes of legend. Adventure MAXIMUS! follows the classic role playing game format consisting of someone who runs the adventure (who we call a Maximus Master) and 2 or more players who interact with the adventure. Inexperienced Maximus Masters will find using our Adventure Creation System helpful when making their first adventure. Also, the role of Maximus Master can be taken over by a player in mid adventure so that everyone gets a chance to play! The Conspiracy X Paranormal Sourcebook now available in retail stores and on the Eden Studios webstore. The Conspiracy X Paranormal Sourcebook has begun shipping and arriving at retailers worldwide. So check your local retailer for copies, if you cannot find it - you can always order direct from our webstore. The Conspiracy X Game Master Screen is also available from our online store exclusively.